A Powerful Three Dimensional Alternative to surgical Liposuction. 3D-lipo is probably one of the most advanced treatments of its type in the fight against targeted cellulite and fat reduction and subsequently skin tightening. Its 3 dimensional approach to the problem ensures that you will experience one of the most effective services of its kind available today! 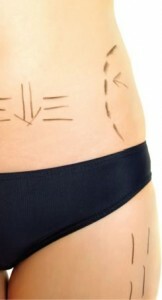 Many less sophisticated Lipo devices on the market use diode laser as the medium to remove fat. Although this has been proven to stimulate the fat cell to release fat it is dependant on significant immediate exercise on behalf of the client to metabolise the released fat in order to achieve results. 3D-lipo utilizes the Latest generation technology called ultrasound cavitation and cryolipolysis (fat freezing) which are widely recognised the most effective cellulite and fat reduction techniques available. Cavitation is body sculpting with no anaesthesia, no scars, no discomfort, no downtime and presents a risk free alternative to liposuction . Cavitation is a natural phenomenon based on low frequency ultrasound. The Ultrasound produces a strong wave of pressure to fat cell membranes. A fat cell membrane cannot withstand this pressure and therefore disintegrates into a liquid state. The result is natural fat loss. Depending on the individuals goals and size determines which technology described above would be used. No other treatment combines these two advanced functions and in most cases both Cryolipolysis and Cavitation will be used in combination over a course of treatment in order to maximize the results achieved. For many clients fat reduction is only part of their concern. There is also the desire to improve the appearance of cellulite and tighten the skin in specific areas of the body. 3D-lipo’s 3 dimensional approach to the problem ensures that not only will you experience fat reduction and cellulite improvement from Cavitation but with the addition of Radio Frequency we are also able to add targeted skin tightening. How does Radio Frequency work? As our skin matures and is continuously subjected to environmental effects, its connective tissue begins to break down, causing wrinkles and other signs of aging to develop. 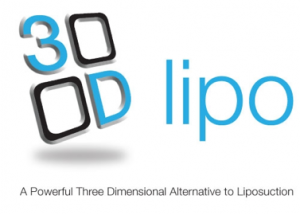 3D-lipo is a revolution in localised fat reduction, treatment of cellulite and skin tightening without the requirement to exercise. Check out the following before and after images.